Getting ready to launch an online course? Want to have a successful course launch that gets lots of students to enroll and makes you a good amount of money on day 1? 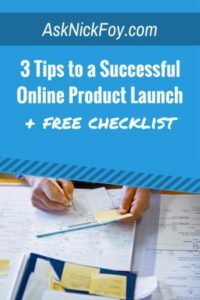 Today’s post covers 3 important tips to consider before launching your course in order to maximize the launch’s effectiveness and generate you substantial profits on opening day. 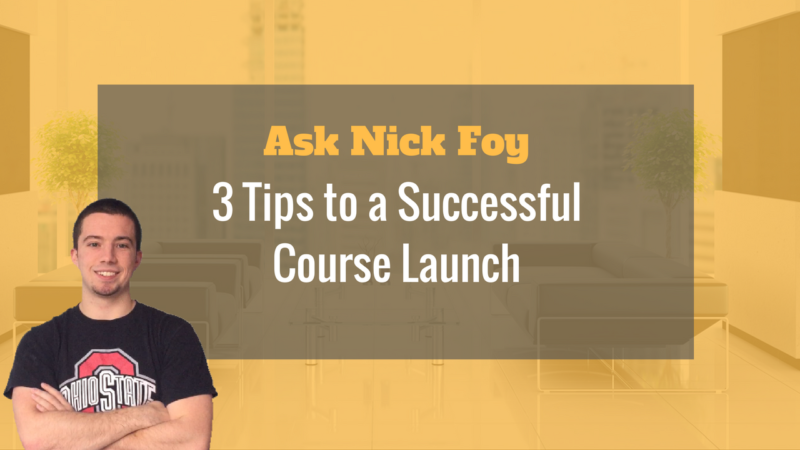 I’m Nick Foy, founder here at AskNickFoy.com and I successfully created and sold online courses during college which turned into a 5 figure per year online business by the time I graduated from Ohio State. I started AskNickFoy.com to help other online entrepreneurs fast track their business’s success and avoid the mistakes I made in the early days of running my online business. 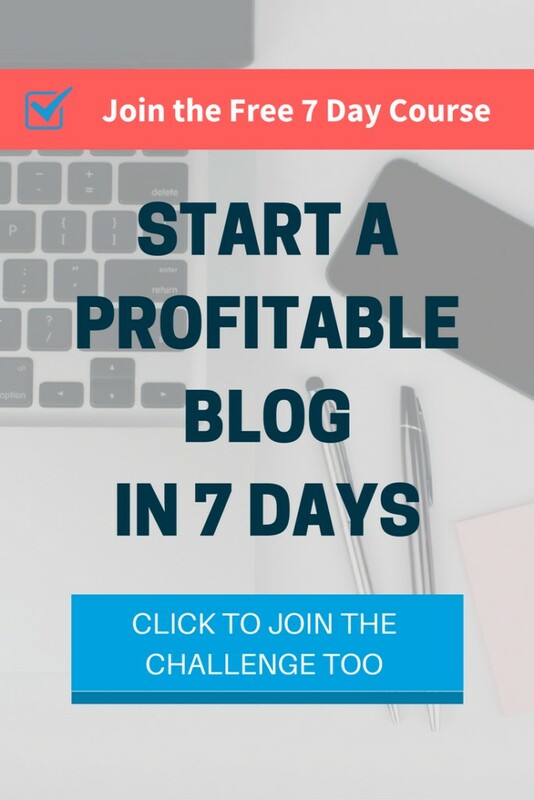 I’m excited to have you here today and when you complete this post, be sure to check out some of my best content like how to build a profitable blog in 30 days or how to drive insane amounts of traffic to your course pages quickly! The first thing you want to do is build a large email list of interested buyers ahead of time so that come launch day you have a target group of people to market your product launch to. How do you find the right people who will be interested in your product? The best way to build a highly targeted email list of primed customers who are ready to buy is to offer a free incentive of similar nature as your email list opt-in gift. Resource: Use Clickfunnels to track conversions of your free opt-in and split test different freebies to see which one works best at converting traffic to email subscribers. If this free gift motivates someone to opt-in to your email list, then it tells you they will also be interested in your product you are selling come launch day. Plus you can upsell your course immediately after someone joins your email list if you want to! This is where Clickfunnels makes it super easy to set up your sales funnel. If I was going to release a course teaching social media I would first offer a checklist of 10 ways to build your social media following. Everyone who opts-in for this free checklist is also likely to be interested in taking my social media course on how to grow followers to 1,000 in 90 days. So I would have them redirected to my course upsell page after opting in to my email list using Clickfunnels and they could be pitched a sales page with information about my course I’m selling. From there, I can monitor in my Clickfunnels dashboard how many people stopped by the freebie opt-in page and opted in to my list which would then move them on to the next step in the funnel which is my sales page. Then I can analyze how many people made it to the check out page and finally to the order received thank you page. Those who don’t buy right away can still be marketed to via my email autoresponder newsletter series where I send helpful tips for a few days to establish my authority over the subject before pitching my course again. First you’ll need to sign up with an email marketing service like ConvertKit. I wrote a detailed tutorial you can read walking you through ConvertKit and how to get set up with them easily in a half hour or less. Once signed up, you can create your opt-in form and then insert it onto your website so that people can subscribe to your email list. Once they subscribe, you’ll want them to be automatically enrolled to your autoresponder series which is a pre-written series of emails that get sent out over a period of several days or weeks depending on how long you want your series to be. You could write 20 emails that get sent out one per week over 20 weeks. ConvertKit handles the sending for you so you don’t have to worry about signing in everyday and manually emailing everyone a different email. Once in awhile when you have just published a new blog article or want to promote a product, you can send a one time email to your list which is called a Broadcast email. You’ll be able to monitor open rates and click rates to see how many people on your list are actually reading your emails and taking action. Reach out to clients and customers asking for testimonials. If you need to incentivize them to submit one to you, consider offering a prize give away and they can enter the giveaway by taking 5 minutes to submit a review to you. Video testimonials will be most powerful. Anyone can create a fake review via written text, but there is no faking a video review of someone else. Alternatively, if you copy paste a text quote from a customer, ask them for a picture as well to place next to their quote to help give the review more credibility. The best way to grow your revenue quickly is to recruit a team of sales people to sell your product for you. How do you do this? You set up an affiliate program. 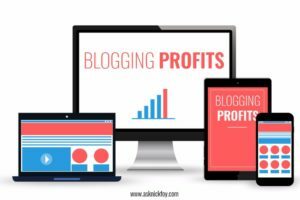 In other words, you offer other bloggers and online influencers who have large audiences a share of the revenue from your products for every sale they bring you. Most affiliate programs offer anywhere from 10% to 50%. If you want to really attract affiliates, you might consider paying a higher affiliate fee. For example, you could offer 60% or 70%. In real estate, agents offer referral fees of 75%. This seems like a lot but since it’s a big time product being sold (real estate) the 25% is still a lot of money you’re making for another agent helping a buyer find a property to purchase. Let’s put this to math, shall we? You run an online store and sell a $100 course on how to use social media. You reach out to 10 different bloggers to become affiliates for your brand. 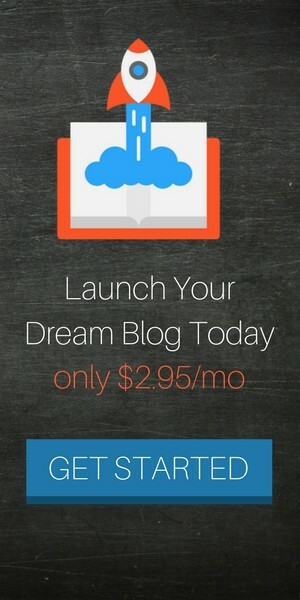 5 of these 10 bloggers accept your offer of 50% commission. The following month these 5 affiliates are responsible for selling $10,000 worth of courses and products from your online store to their respective audiences. You paid them a 50% affiliate fee, which means you’ll pocket $5,000 and pay out $5,000 of the $10,000 in sales. This may be way more income than you usually see from your store on your own. Affiliates can 10x your income especially if they have large audiences who are highly related to the product or services you’re offering. Therefore, it’s recommended you reach out to bloggers in your niche/industry so that you’re pretty confident your product will relate well to their audience of followers. You can go the slow route and try to rank your website in Google using SEO. You can take the expensive route which includes buying Facebook ads. Or you can take the best route which is using Pinterest to drive FREE traffic to your website.